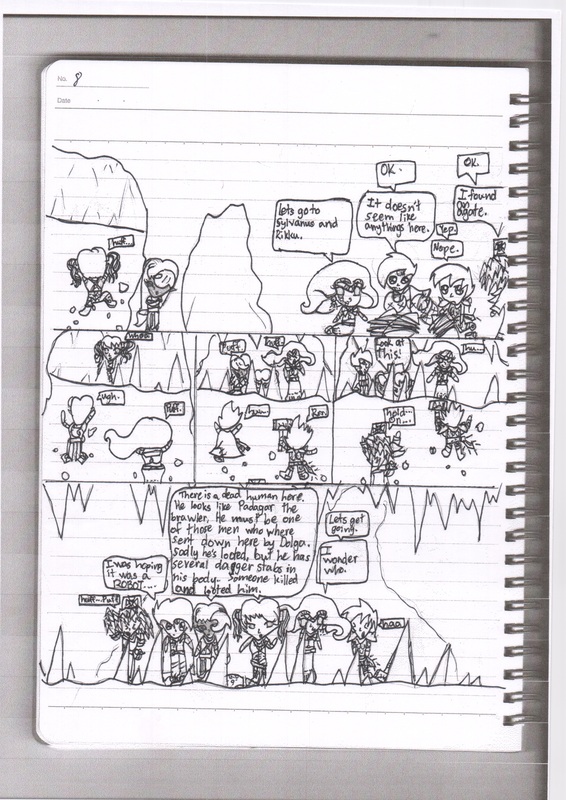 My 11 year old daughter, who plays in my game as Rikku the Rogue and writes the game logs, also put together a comic of her adventures. She ran out of steam at the gremlin caves under Torch (for now) but here are her initial inked versions (I’ll publish more over the coming days and weeks, this is the 8th panel). She wants to eventually ink them in Photoshop… when I get around to showing her how to use it. These are the raw scans, I haven’t played with them yet to clean them up.